Many years ago I was a scrapbooker. I scrapbooked events, day trips, holidays, and parties and loved experimenting with different layouts and techniques. But then due to some life changes, I fell behind. 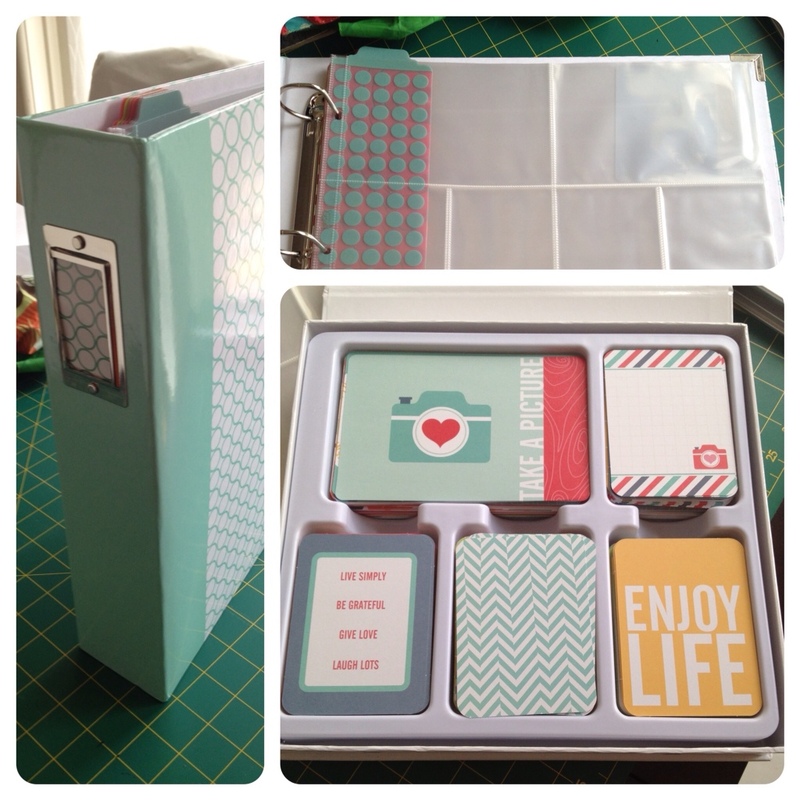 I had photos cropped and paper bought, but I just never scrapbooked them.. I fell further and further behind, and lost interest. The final nail in the coffin was the change to a digital camera as I was no longer printing photos the day after I took them. I gave away my scrapbooking supplies and that was that. I read about project life long before it was available in Australia. I was interested as it was essentially scrapbooking minus the time consuming part, but still creative and the results are great. Alas I deemed it too expensive to get shipped out here… I toyed with the idea of taking up digital scrapbooking and started a folder on my pc full of digital download kits but I hadn't actually done anything yet. Then low and behold Project Life became available at Spotlight! I didn't think twice, I went straight down and purchased an album, kit, plastic pockets and dividers. I haven't started yet, but I am so excited about it. Of course now I've been searching around online and have seen how many freebies are around, I could have been doing it all along using pockets that were available here in a generic folder, with printed freebies, but not to worry… It's here now! I've been using this blog as a bit of a journal of late to document the day to day things in life like gardening, and cooking and I think PJ is a good extension of that and a really good way to focus on the positive things going in life. My previous scrapbook albums document specific events, whereas these days I don't go to many events so daily life is my focus. I'm gojng to share my layouts on this blog as I complete them. My other plan is to create some printable journal cards and fillers of my own. I've been working on freebie printables that I intend to give away on this blog all year, but nothing is actually complete. I feel like I'm starting a new chapter and have finally found my motivator…. Stay tuned!